Bar Buca’s second location has been open for a few months now on Eglinton, just east of Yonge. Its sibling, the OG Bar Buca is still going strong on Portland, with plans for more baby Bucas in our near future (St Clair, hello!). The restaurants, part of King Street Food Company have just launched a new menu, but that seems too simple, its a bit more like a movement. A call to linger, an alternative to just going home. 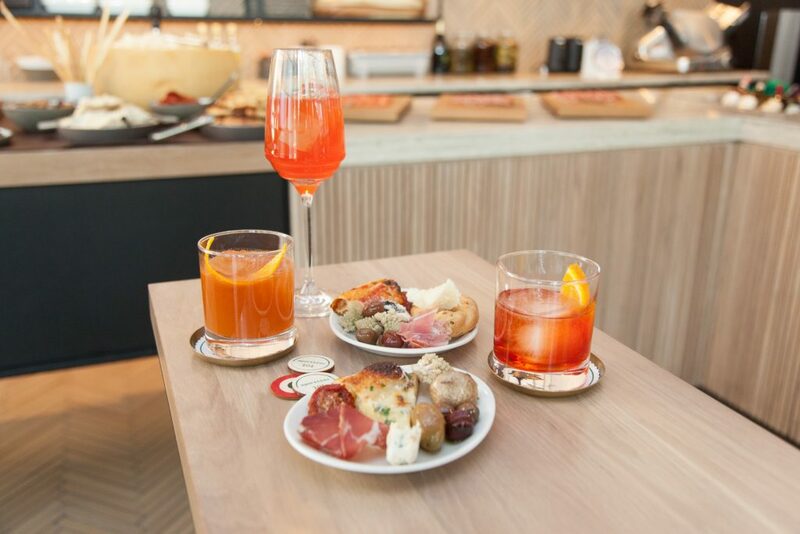 Meet Aperitivo, Italy’s version of Happy Hour. 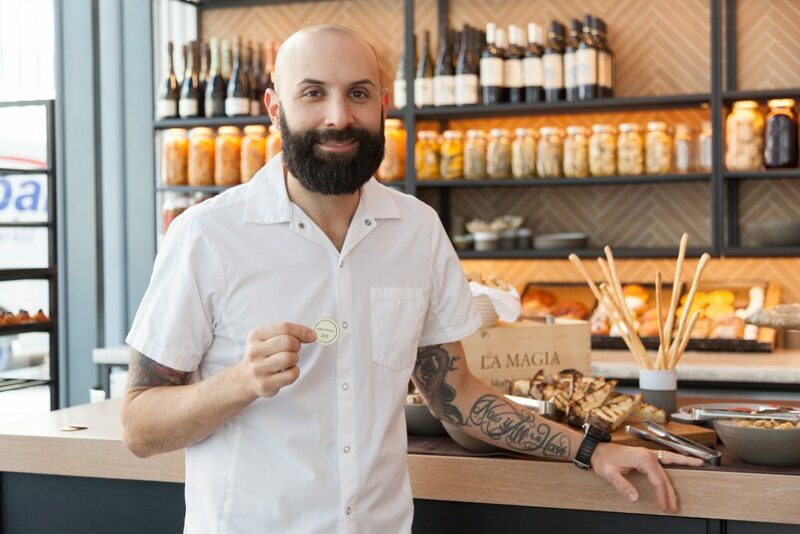 Rob Gentile came up with the idea during one of his many culinary journeys to Italy. Europeans have a flair for living, they relish the social aspect of eating and drinking together. It’s a part of everyday life. Meeting up after work to have a drink and a chat, except in Italy, that always includes a bite or two as well. Made in House – Carb Lovers Be Warned! So Rob decided to channel that energy to the Bar Buca brand. 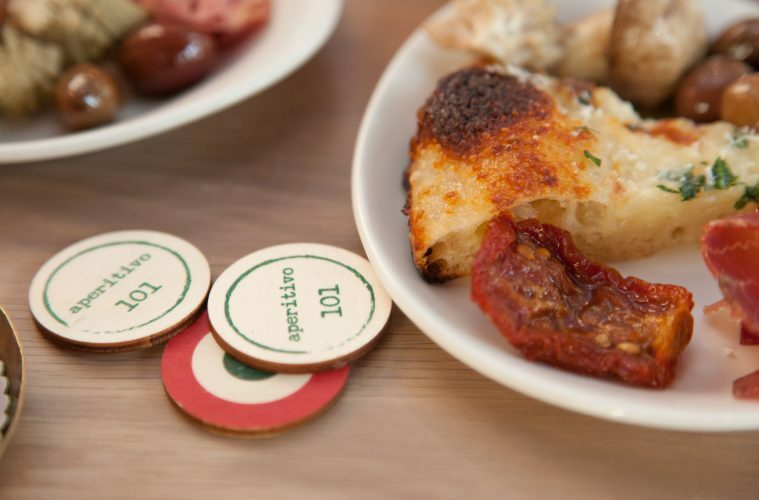 Every weekday, Bar Buca will be offering their Aperitivo menu, from 4pm-6pm. Purchase any drink, and you’ll receive a cutesy custom token to the banquet of goodies flanking Bar Buca’s bar. 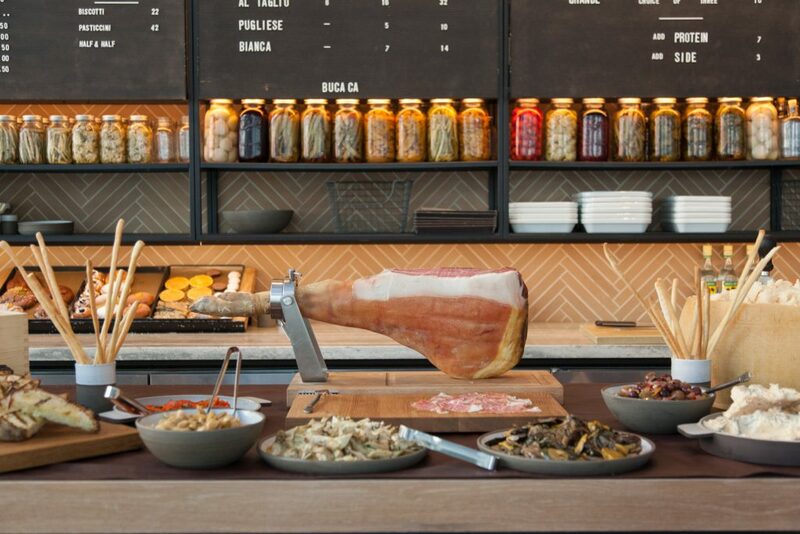 The menu features a steady rotation of Italian favourites; housemade focaccia, giant wheels of salty Parmesan Reggiano, house cured meats like bresola and salumi or freshly shaved proscuitto, heaps of pickled vegetables and crumbly blue cheese. Yes, you will ruin your dinner, and yes, it’s totally worth it. We clinked glasses and celebrated our first haul of goodies with the amazing Carota ($15) and Negroni al’ Caffe ($15). 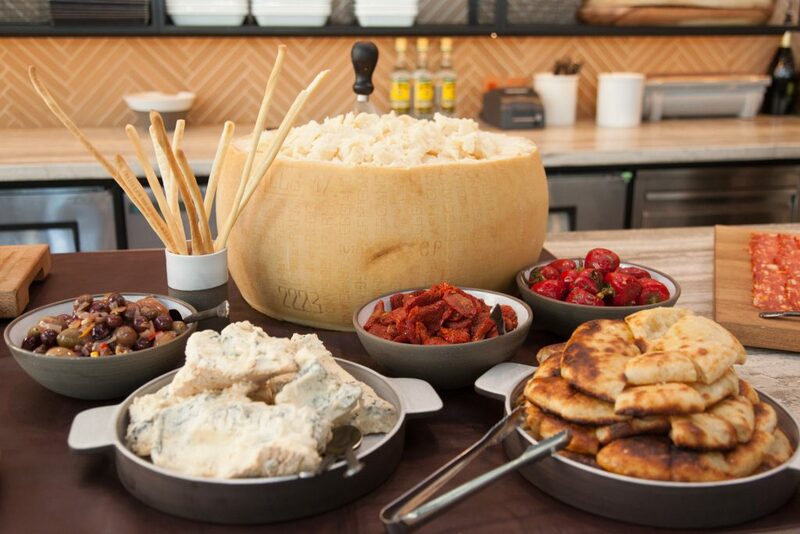 Classic Italian influences are on full display, pairing perfectly with Rob’s feast. Daniel Castro crafted the drinks menu- he’s the head bartender at Bar Buca. 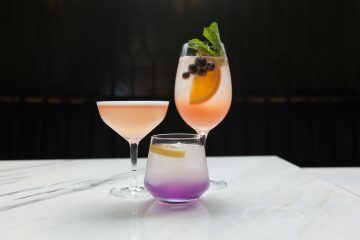 Conjuring cocktails that are both original and authentic; think Campari, Aperol and Amaro flourishes with modern twists. 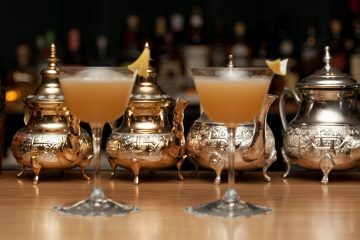 The Carota is a statement cocktail. It brings Amaro Montenegro together with spiced carrot, citrus and Angostura Bitters. It’s delectable. 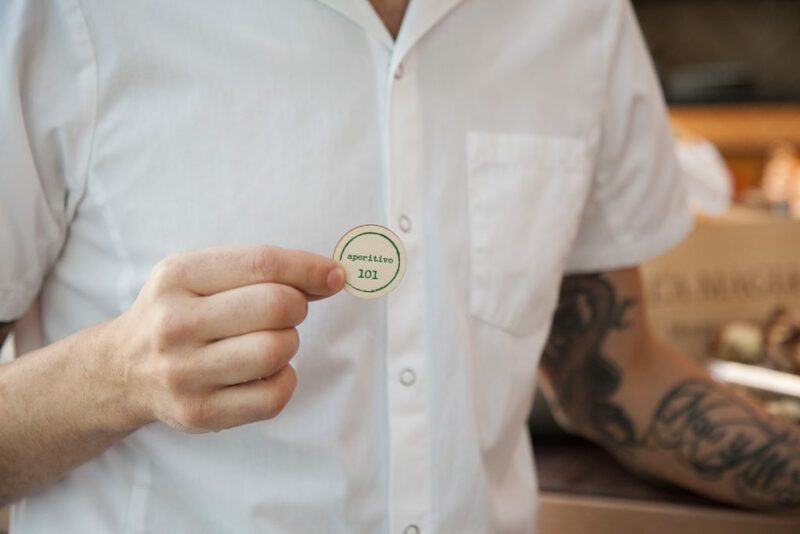 Moretti on tap, along with High Park Brewery and two wines offer some lower-key options. Seedlip makes an apperance as well, giving the bar depth and proving Daniel’s creativity isn’t limited to just liquor. Swing by for drinks, stay for dinner and maybe wear comfy pants if you can swing it. You’re going to need a little extra breathing space after making your way through this spread. 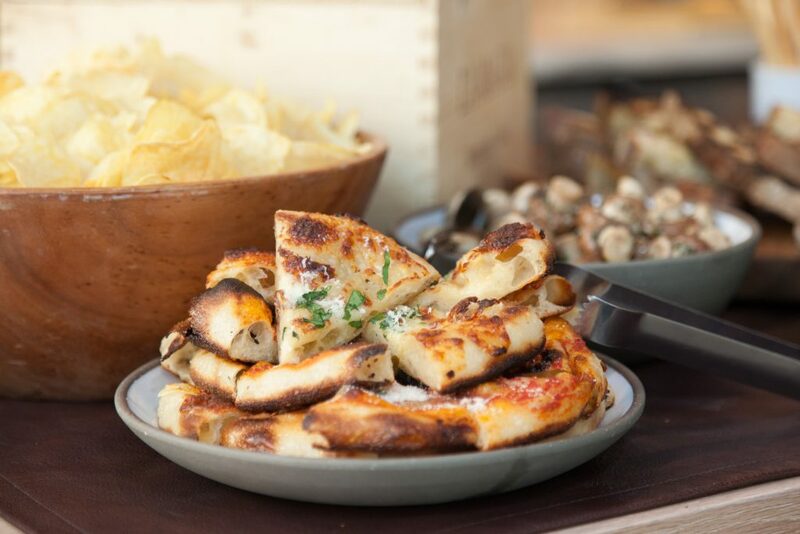 While they currently don’t offer reservations, Bar Buca offers ample seating at both of their locations. Grazie Bar Buca for the introduction to the good life!